Not new in this world, but new in this store! Seeing Is Forgetting the Name of the Thing One Sees: Over Thirty Years of Conversations with Robert Irwin is a biography of American installation artist Robert Irwin by Lawrence Weschler, author of Everything That Rises: A Book of Convergences (winner of National Book Critics Circle Award for Criticism) and Mr. Wilson's Cabinet of Wonder (Pulitzer Prize finalist). Irwin is a fascinating subject, Weschler is a brilliant non-fiction writer, the book is excellent. 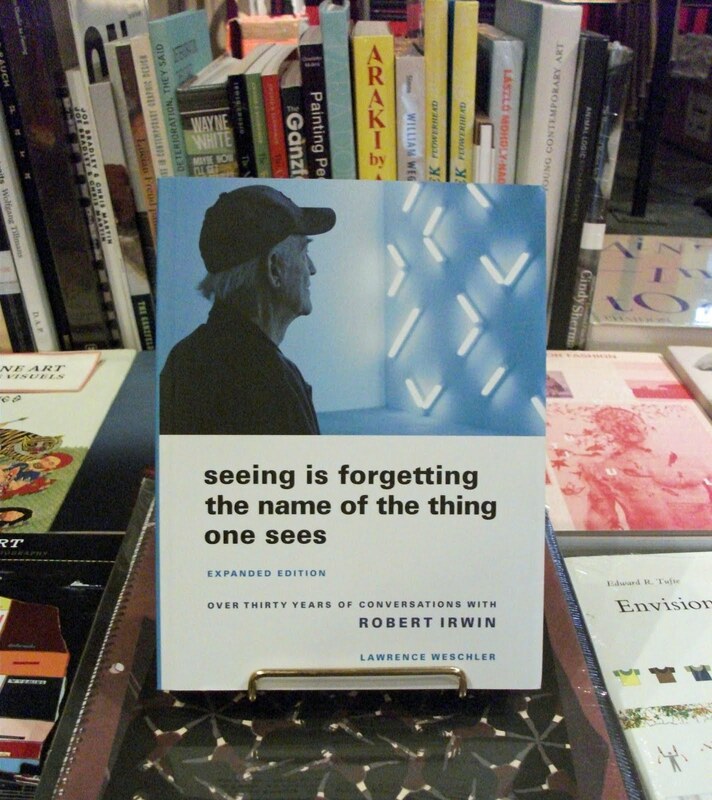 Seeing is Forgetting changed the way I think about writing about art and convinced me that one can change the way one sees. If that sounds cryptic... it is.